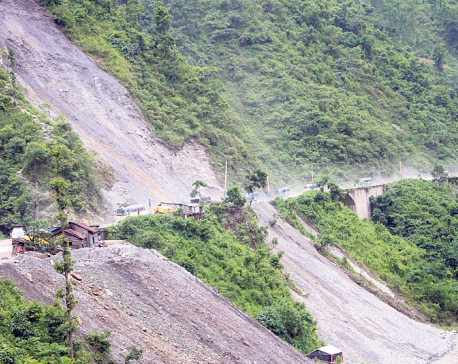 Bel Gurung in the under-construction road of Nakhipot,Lalitpur. 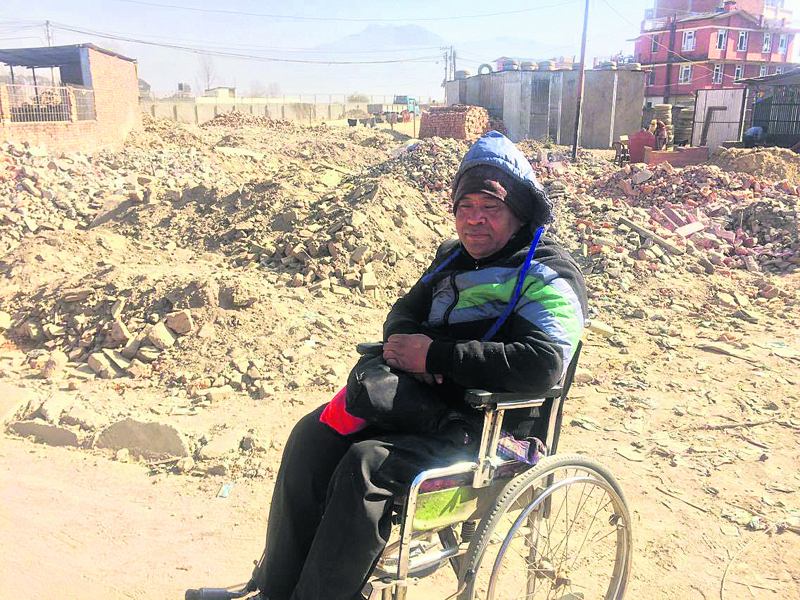 KATHMANDU, Jan 26: Despite his disability, fifty-year-old Bel Gurung of Khumaltar, Lalitpur was never a burden to his family members as he never troubled them seeking favors. He was self-reliant and did his works himself. 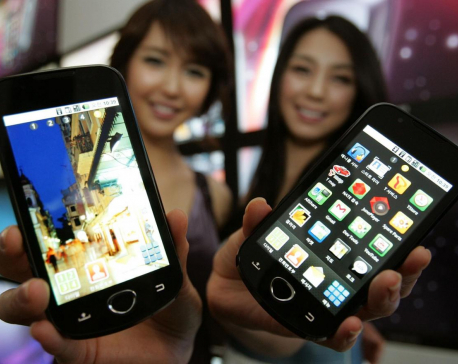 But the ongoing road widening drive of the government has thrown his normal life out of gear. Gurung, who is a wheelchair user, didn't really needed anyone's help since he could independently go anywhere on his own. But now, he cannot move without helpers. “I feel like a child all over again as I can't think of going out alone,” he lamented. Although the sluggish development of roads has troubled all, the condition is worse in case of wheelchair users. There are more than 1000 wheelchair users alone in Kathmandu, according to an organization working for the disabled. Road widening and pipe laying process for Melamchi underway in various parts of the country have been delayed or postponed in many places due to various reasons. Five years on, only 26 % of the expansion has been completed in the Valley which signals that the life of people is not easily getting back on track. Various road sections in Kalanki, Naikap, Jorpati, Bauddha and Dholahity among others have been really torturous for the wheelchair users. The messed up roads have caused lots of hardships for the disabled. Many wheelchair users scattered in various parts of the Kathmandu Valley are struggling with these difficult roads almost every day. Their wheelchair gets blocked by the rocks lying on the roads. “Sometimes I get stuck in the middle and I push myself harder to get through but it often ends up with my wheelchair turning over,” Gurung said. This has even caused several injuries on his body. It's been more than a year that the government started road expansion in Lalitpur but none of the roads are properly developed yet. Damaged and half-finished roads have instead added to the woes of the people affecting their health as well. Road widening scheme in the urban areas has also deteriorated the quality of air which has added to the misery of the urbanites. “We now have to remain for hours at a particular road, raising fear of developing various kinds of diseases like respiratory illness, asthma, bronchitis and even cancer,” Dahal said. Dahal, who is a resident of Jorpati, told Republica that she recently dealt with throat infection because of the dust. Many wheelchair users are desperately waiting for the government to complete the road widening process as soon as possible.